Alan Alda has Parkinson’s Disease: What does this mean for public health? 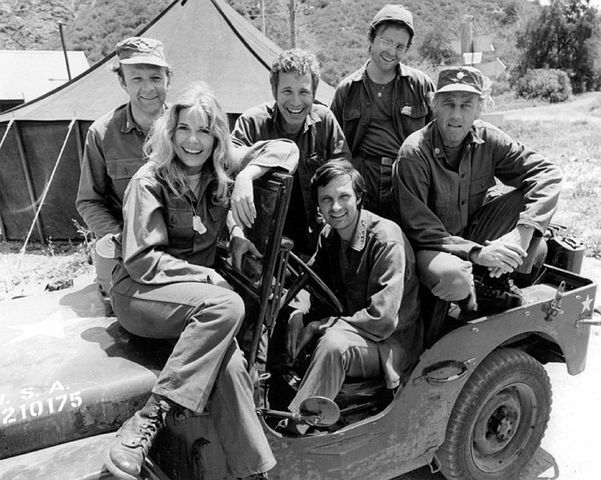 As Hawkeye on the classic television show M*A*S*H, Alan Alda played a grumpy but lovable army doctor who could repair even the most horrific injuries. Now, though, Alda is facing a medical condition that cannot currently be fixed. The actor announced on July 31 that he was diagnosed with Parkinson’s Disease more than three years ago. Appearing on CBS This Morning, Alda revealed that after reading one of Jane Brody’s columns for the New York Times, he suspected he might be in the early stages of the disease and asked his doctor for a diagnostic test. His intuition was correct, and ever since his diagnosis, Alda has taken advantage of research on staving off more serious symptoms of the disease through continued exercise and rhythmic movement. Alda has a right to his privacy. Indeed, he kept the news to himself and his family for the past three years. However, a chain of events occurred once he chose to announce his Parkinson’s diagnosis that research suggests could have important ripple effects on public health. Research that I and others have conducted shows that when celebrities make announcements about their own illnesses or they die from a particular disease, the public pays a lot of attention to the media coverage generated by these events. In a survey conducted shortly after Apple founder and CEO Steve Jobs died from pancreatic cancer, we found that more than one third (36%) of our sample sought out more information about how Steve Jobs died or his disease and that 7% sought information specifically about pancreatic cancer. While 7% may not seem like much, when multiplied across the population it could mean that millions of individuals would have been educating themselves about this type of cancer. Other researchers have found similar outcomes by analyzing Google searches and finding increased numbers of searchers for words related to cancer after media coverage of celebrity cancer diagnoses. Our survey also found that people talked to others about pancreatic cancer after Jobs’ death from the disease, and that they were especially likely to do so if they felt emotional about learning the news. We know that health information spread across one’s social networks can help not only provide knowledge but also encourage social support that is crucial in instigating and maintaining many health-related behaviors. Moreover, I have found that reading about a celebrity illness motivates people to not only seek information and talk about it, but to also take action to protect their own health. The communication behaviors that take place after a celebrity illness or death (information seeking and talking to others) seem to help people think through about their own health and decide to take some type of action. One more point from communication research: my work suggests that the way the public figure frames his or her condition will shape how fearful or hopeful the audience feels. In an experiment, I found that when people read a news article where a celebrity talked about a medical diagnosis such that they focused on the positive outcomes that could come from taking care of one’s health, readers felt more hopeful. Conversely, if participants read a news story where a celebrity focused on the scarier aspects of receiving a diagnosis, the readers themselves experienced more fear. This difference between hope and fear matters because, while fear can motivate attention, hope can sustain effort toward health goals and has been associated with positive changes in health behavior. And Alda was notably hopeful in his announcement of his diagnosis, with the hosts even noting how optimistic he was. This presentation of his disease may have additional benefits for providing hope to the 1 million Americans already diagnosed with the condition, too. In short, previous findings suggest that Alda’s announcement about Parkinson’s will draw attention to the chronic, debilitating disease. At least some people who learn about Alda’s condition via media coverage will spend some time seeking information about it, and many will talk to others about the disease, potentially leading them to consult with healthcare providers, too. Moreover, Alda’s optimistic but realistic discussion of his condition may provide just the right combination of awareness and inspiration to motivate people to take their health into their own hands while also advocating for additional funding for Parkinson’s research. Alda is more than a celebrity with a Parkinson’s diagnosis, though. He has devoted a significant portion of his career to finding ways to better communicate issues of science and medicine to the public. He hosted the PBS series Scientific American Frontiers and founded the Alan Alda Center for Communicating Science at Stony Brook University. Currently, Alda hosts a podcast called Clear & Vivid where he promotes (no surprise) clear and vivid descriptions of all types of science, but particularly focuses on ways that doctors and other healthcare providers can better communicate with patients. His efforts to educate the public, policy makers, and scientists about the importance of clear communication in these domains is likely to have beneficial effects for public health for years to come. And finally, let’s not forget how Alda himself came to wonder if he might have Parkinson’s disease. He read a news article about the topic and made the connection to his own experiences in life. By educating the public about diseases, diagnostic tools, and potential remedies or ways to alleviate medical conditions, quality health journalism does more than inform—it can improve quality of life and even save lives. When the media cover issues related to health and science in (as Alda would endorse) clear and vivid ways, we all can benefit. Health-related media permeate our modern experience, from using an online search engine to reading a pamphlet about vaccinations at the doctor’s office or watching a television news report on the dangers of sitting too much. This book makes the argument that if prevention-focused health messages are to motivate behavior change, they must tug at the heartstrings, and researchers need to understand more precisely how different emotional reactions influence health message effects. In making this case, this book takes a quantitative, social science-based approach to understanding the role of emotions in shaping individual-level effects to preventative health messages disseminated through mass media channels. The book focuses on how discrete emotions evoked by preventative health media messages influence how audiences respond to those messages. Are they persuaded to change their behavior? Will they seek more information? Will they share information with others? Will they support prevention-focused policies? While a rich literature exists on the effects of health-related fear appeals on audiences, researchers have yet to fully explore the role that other discrete emotions play in health communication processes and outcomes. This book fills that gap by providing an overview of the role of nine different emotions—both positive and negative—in various prevention-focused health communication settings. It also introduces readers to commonly employed emotional theories and concepts and relates them to literature on prevention-focused health and policy communication. In addition to reviewing and synthesizing the literature, this book offers new directions to researchers hoping to improve the effectiveness of prevention-focused health messages. To order the book, please visit the publisher’s website or Amazon. We tested how clips from Shark Week that show high levels of shark-on-human violence, mild shark-on-human violence, or no shark-on-human violence and are then followed by one of three commercials (A shark conservation PSA featuring a celebrity, a non-celebrity PSA, or a Wendy’s pretzel burger spot) influence audiences’ fear of sharks, perceived threat of a shark attack, intentions to seek more information about sharks, and intentions to participate in shark conservation efforts. 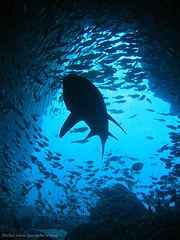 We found that any type of shark-on-human violence resulted in increased fear and perceived personal threat of a shark attack, even after seeing a PSA stating that shark attacks are rare and humans are the ones killing sharks at a dangerously high rate, forcing many shark species to the brink of extinction. Our brains may know the statistics, but our hearts react strongly to graphic images of shark teeth and blood in the water. We did find, however, that viewing a shark conservation PSA resulted in higher intentions to seek shark information and to support conservation compared to those who did not see a PSA. So, these messages were not entirely ineffective for the conservation groups who run them alongside the ever-popular Shark Week. Additionally, we found that feelings of compassion and interest generated by viewing the PSAs were strong predictors of intentions to support shark conservation. This experiment wasn’t just an academic exercise. The Discovery Channel really does air shark conservation PSAs during Shark Week programming. Our study showed that this practice, while bringing attention to shark conservation, doesn’t necessarily correct or alleviate the public’s fear of sharks and overstated perceptions of their own chances of being attacked. More work remains to be done in this area to see how messages can influence public support for conservation. It was a really fun study to do and I must also thank Scott for helping us edit the stimulus materials together. And, click here to read an op-ed Suzannah and I wrote for The Conversation about this study and its implications for mediated conservation efforts.